Sunday Morning a CHP Officer was involved in a single vehicle accident. The CHP Officer Crashed into a freeway divider. The Officer sustained scrapes and bruises and broken bones. He was Airlifted to the hospital and is expecting a full recovery. Traffic was back up for miles on the 101 freeway as multiple lanes were closed 40 miles northwest of downtown Los Angeles. As cause of the accident is still unknown, always remember the importance of target fixation. 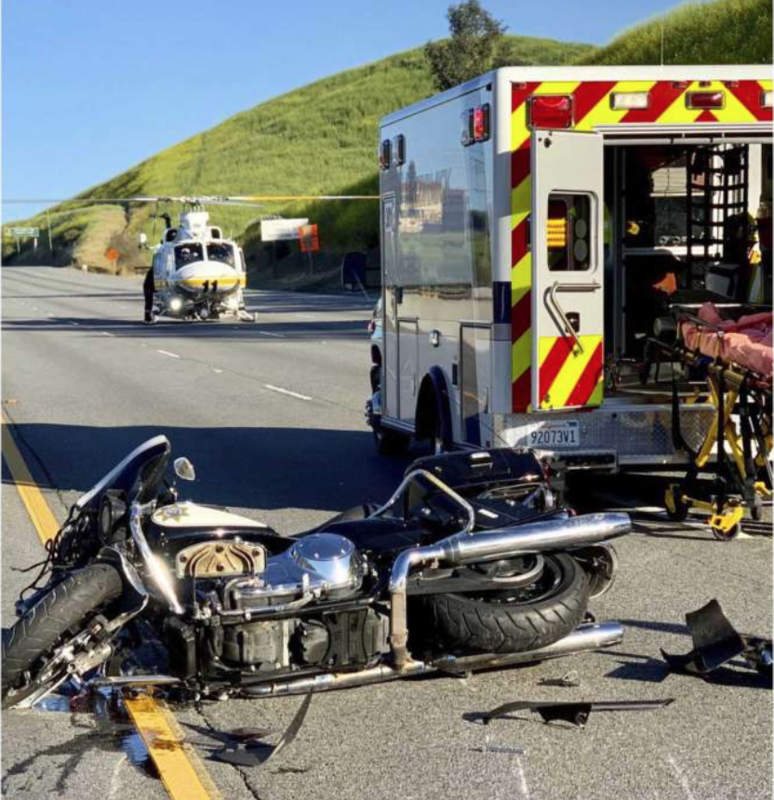 The Los Angeles Motorcycle Lawyers at RiderzLaw wish the CHP Officer a Speedy recovery.